DeeZynes, based in the Forest of Dean, offer a wide range of embroidery and print services for businesses, sports teams, schools and clubs and also specialises in the equestrian world. We cover the county of Gloucestershire but have clients across the UK, with a high level of quality products and customer service making DeeZynes a well-respected, established, recommended and independent company, having worked in the local area for just under 10 years. We offer a wide range of other services, from printed mugs through to bespoke products, so if you have something you would like us to embroider or print on, just let us know, as there is little we have not managed to successfully work on before. We are a local courier company that offers a reliable, competitive delivery service to anywhere in the world. We have accounts with several of the largest courier companies in the UK, our buying power allows us to pass on some of the lowest prices in the industry. Our staff are friendly, knowledgeable professionals, whose aim is to deliver a great service to you. From our premises in Cinderford we've been designing, creating and installing signs for over 30 years. In that time we've earned a reputation for outstanding value, helpful approachable service and quality products. It's a reputation that extends across the Forest of Dean, Gloucestershire, Herefordshire, South East Wales and beyond. We offer full signage services, including vehicle signage, shop signage and everything in between, so see what we can do for your business. We are based in the town of Cinderford in the Forest of Dean where we have been providing local customers excellent service for the past 16 years. We provide a wide range of pet supplies and aim to increase this when possible to ensure our customers are always catered for. Garden Tractor Spares has been selling spare parts and repairing tractors for over 20 years. Starting as a local dealer covering the Forest of Dean, we started selling spare parts online in 2008. This evolved into our core business and GTS is now the largest online garden tractor spare parts dealer in the UK and sells to people from all over the world. We are a wholly independent company selling genuine spares that are produced by the original manufacturer. We are not part of any group or attached to any one tractor manufacturer. We concentrate only on the tractors we know and trust. Family run company Paterson has over 40 years market leading experience of design, manufacture and installation of bespoke cabinets and worksurfaces throughout the UK and overseas. Whilst our reputation should speak for itself, we are not complacent and believe in not only doing things differently, but better than other companies. Acknowledging the importance of today’s kitchen as the key social space of any house, our kitchens are designed to look breathtaking as well as practical. Manufactured in our Gloucestershire workshop and installed by our own craftsmen to exacting standards using the latest materials and techniques, we offer a wide range of styles, colours, specifications and price. Hales is a one stop timber & builders' merchants where you will find everything you need, whether you are looking to improve your home, carry out routine DIY repairs or build a complete new house or extension. We have a large self-service shop & trade counter, a well stocked timber yard & sawmill, a kitchens & bathrooms department & showroom along with a comprehensive range of heavy-side materials and offer a full delivery service. 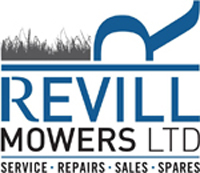 At Revill Mowers Ltd we will build our success upon our close understanding of our customers requirements. Our flexibility allows us to try and suit your schedule so that we can minimise your machinery downtime. We believe we can provide our customers with excellent value for money and specialise in providing you with a friendly, personal and high quality service with a rapid turnaround time (especially for pre-booked work). Springmakers Limited is a long established company offering custom spring and wire-form solutions for a wide variety of engineering applications. Our reputation is built on 50 years of progressive experience, during which time we have worked with many companies allowing them to achieve their goals for quality, reliability and cost-effectiveness. Forest Products Ltd have been supplying timber to retail and trade from our bases in the Forest of Dean since 1927. For over eighty years we have been using primarily home grown raw material felled from managed woodlands. At our Cinderford works we take timber, predominantly from sustainable sources, for cutting and processing – this way we can guarantee that our timber has been properly treated from felling to delivery. When buying timber, it is important to know exactly what you're paying for. Whether retail or Trade, all are welcome at Forest Products. From a background in wholesale coffee and food service, Peter James founded James’ Gourmet in 1999. The company has gradually matured into a unique specialist coffee company, driven by Peter’s passion and enthusiasm for gourmet coffee. 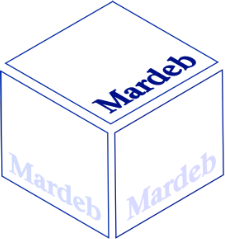 MAR-DEB have been a leading supplier of packaging products to retail and industrial companies in the uk, from our base in the forest of dean since 1990. We have over 25 years of experience in the packaging industry to help provide your business reduce costs and increase efficiency. We offer a comprehensive range of packaging products including custom made cartons (plain or printed) adhesive tapes, bubble wrap, strapping, palletwrap, polythene bags, postal products loosefill, edge protectors and a whole lot more. Advantage IFA are independent financial advisors whose aim is to offer the highest quality personal and corporate financial advice from across the whole of the market. They aren't tied to any product ranges and have no bias towards any product provider, so are able to advise in a variety of areas in an ethical and holistic manner and to tailor all advice to the needs of individual clients. R W Bearings Ltd is a leading supplier of bearings and power transmission products. With over 20 years experience in this distribution industry - sourcing and supplying the specialist products that discerning customers need, at the right price and delivering at the right time. Our vast experience and emphasis on customer care, has enabled us to become a well known, trusted supplier of choice for local industries. With our 24 hour call-out facility, excellent product knowledge and extensive supplier relationships, we are able to source the products needed quickly and deliver when needed. With Protech Windows you can be sure that you have choosen the right company to provide you with the product you want, installed at the time you want, at the price you want. We have always worked very hard to ensure our customers, new and old, have the same high excellence service. That's why they come back to us time after time.